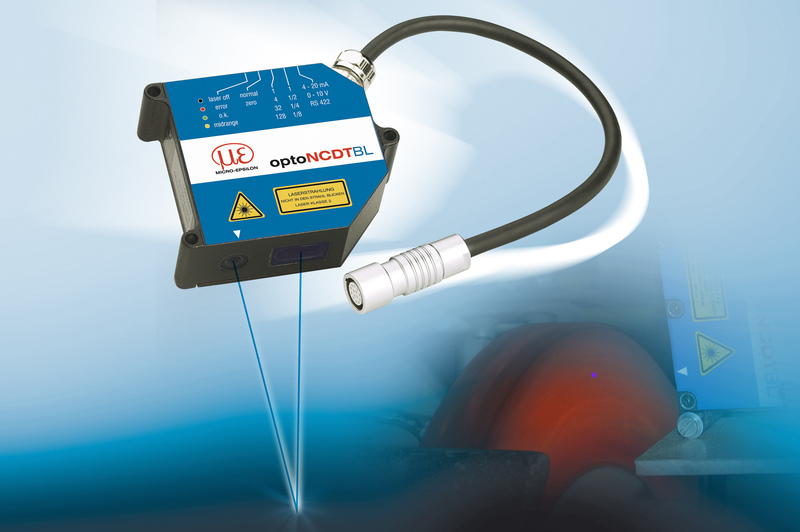 Optical, non-contact and precise – laser triangulation is one of the most trusted methods of industrial displacement measurement. From the very early days, a red laser light was used as the receiving element as this had the highest sensitivity. However, when detecting red-hot glowing, transparent or organic objects, the red laser has limitations that may influence measurement precision. 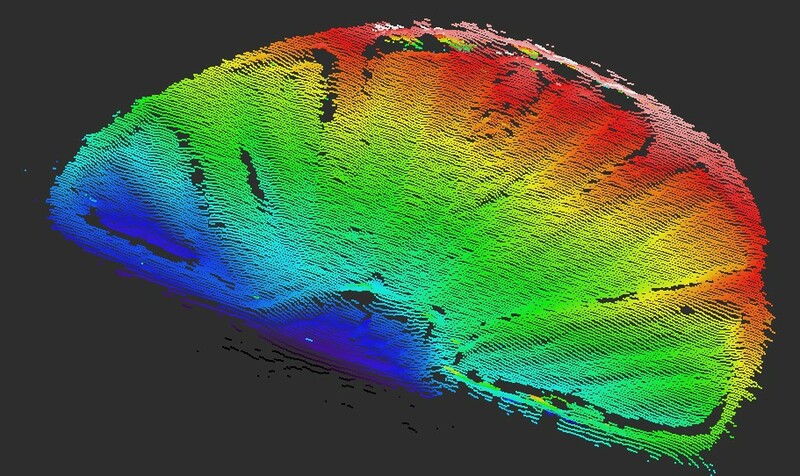 For one-dimensional distance measurements, as well as for the detection of profiles and contours, sensors equipped with a blue laser reliably solve this problem. The laser triangulation sensors belong to the group of optical standard measurement principles. Optical distance measurement is performed by laser triangulation using angle measurements within a triangle. A laser diode transmits the laser beam onto the measurement object. A lens focuses the reflected rays onto a digital photo element (CCD array). The distance from the object to the sensor is calculated from the position of the light spot on the receiver element. Data is evaluated using (normally) internal controllers and output via digital or analogue interfaces. Due to the laws of physics, the CCD element is more sensitive in the infrared range than in the UV range. This is why conventional sensors that use a red laser light (670nm wavelength) operate close to the infrared spectrum. This approach works reliably on most target objects. However, for some measurement tasks conventional red laser sensors cannot be used. Various objects such as glowing hot metal emit a high proportion of infrared radiation. This radiation interferes with the sensor that is set to ‘red’. At a temperature of around 700°C, good measurement results become very difficult to achieve. In contrast to sensors that use a red laser, the blue laser operates at a shorter wavelength of 405nm and is therefore closer to the UV range of the spectrum. Consequently, a blue laser provides maximum distance from the infrared, which means that any infrared radiation does not interfere with the sensor. Depending on the measurement object, conventional red laser light penetrates more or less through the measurement object and is diffused there. This effect occurs particularly strongly in organic objects. As no clear image point on the surface is generated, it is not possible to define an exact displacement. In contrast to this, the blue violet laser light does not penetrate too far into the measurement object due to its reduced wavelength. The blue laser produces a very small laser point on the surface providing more stable, precise measurements even on target objects that are normally considered as critical. The advantages of triangulation using a blue laser diode do not only apply to one-dimensional measurements (distance, material thickness, vibration) but also to multi-dimensional quality control such as profile and contour measurement. 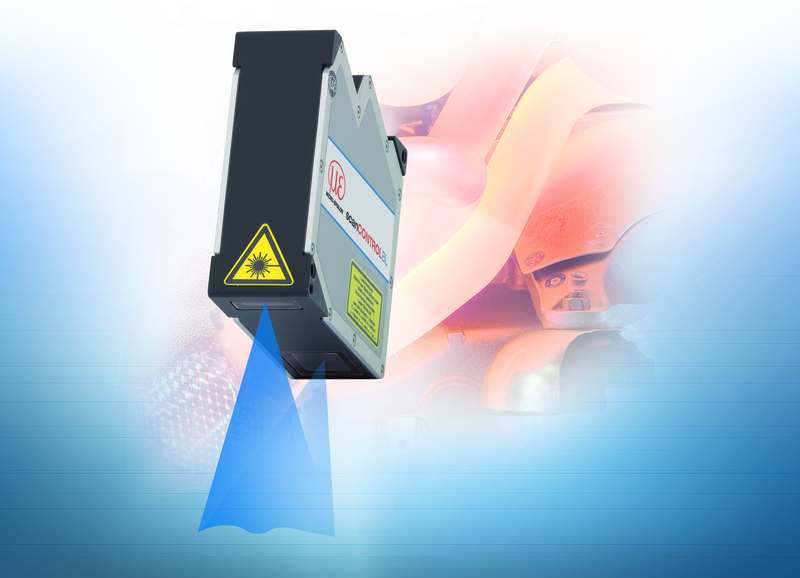 The series of 2D/3D laser profile scanners has been extended with additional models that use a blue laser diode. The special characteristics of this wavelength range enable the sensors to be used in conditions where measurements have not been practicable to date. The sensors even operate precisely on reflective or transparent surfaces, where it is not possible to use optical measurement methods. The scanCONTROL 2900BL units are extremely compact due to their integrated control electronics, enabling the sensors to be used in complex machines where installation space is restricted. Erich Winkler is product manager, Laser Triangulation Sensors and Christian Kämmerer is product manager Laser Profile Scanners, Micro-Epsilon, in Ortenburg, Germany.